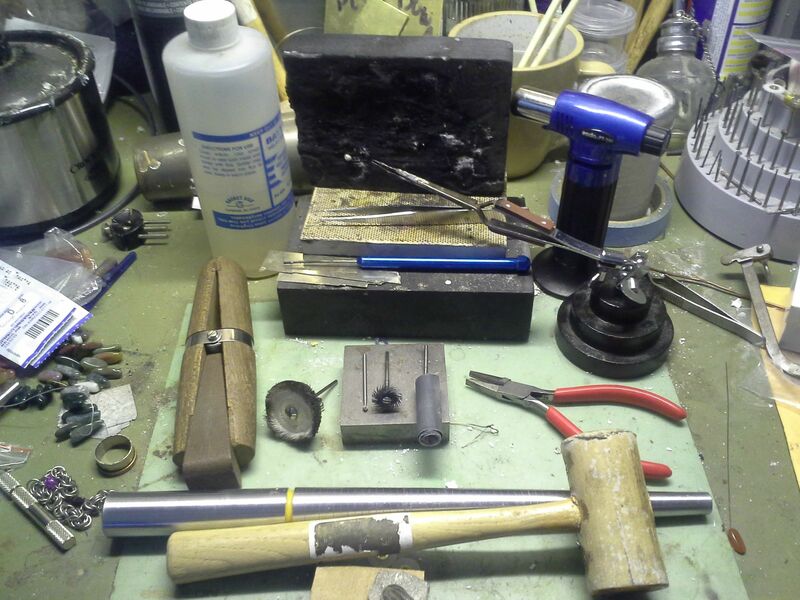 So, this is a quick overview of the tools I use to create my jewellery. I'll show them in more detail throughout the process. 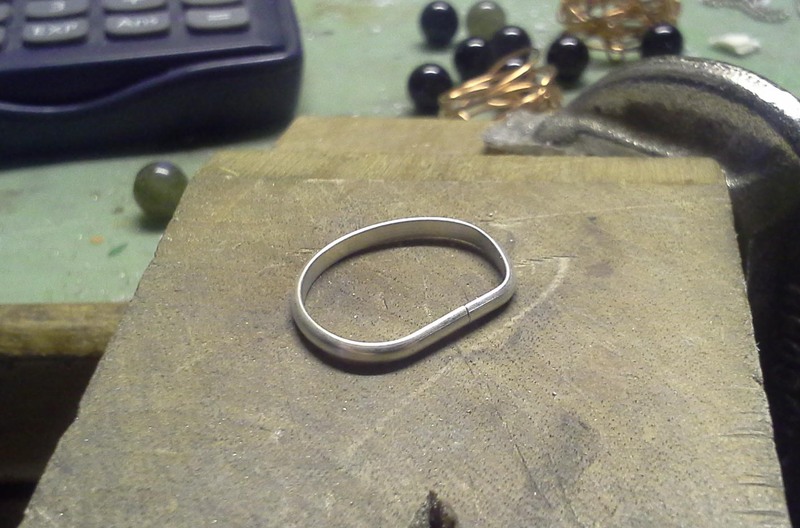 The easiest rings are created using wire. 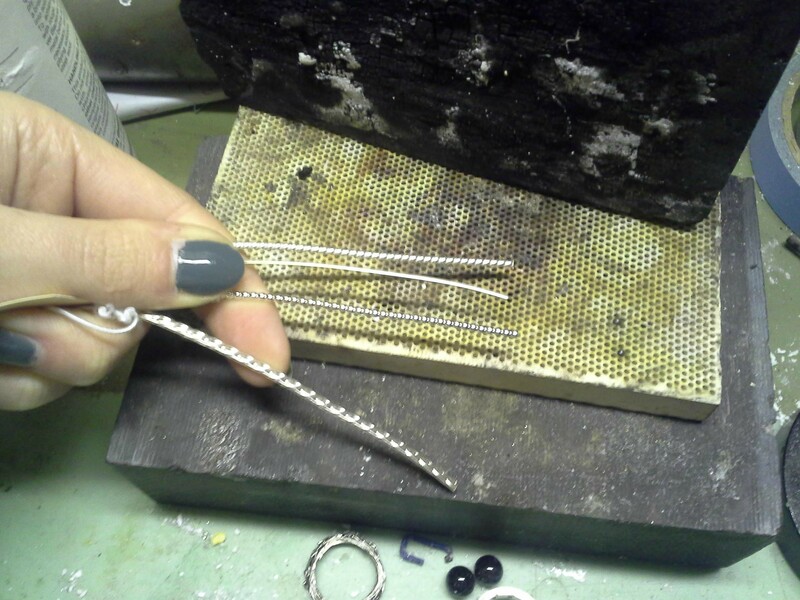 There's a huge variety of sterling silver wires available, you just have to pick the one you like the best. 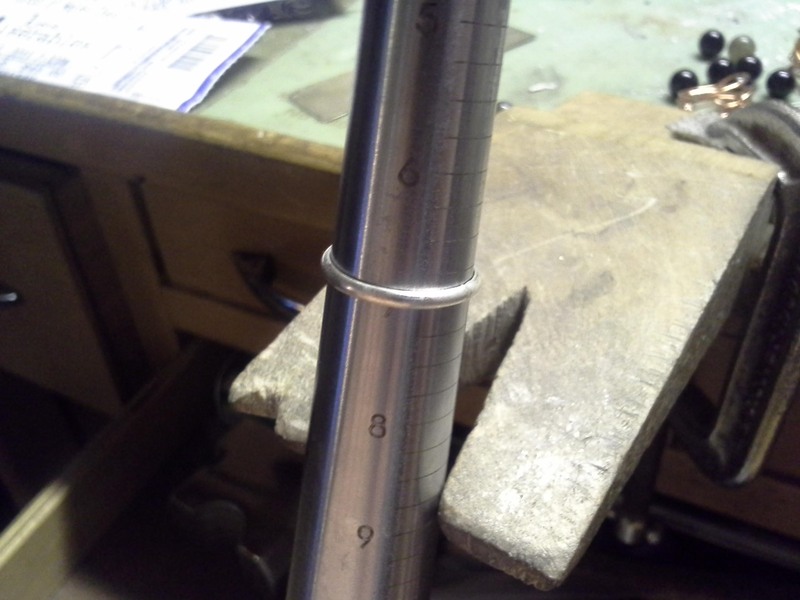 To figure out how long of a piece of wire you need to make your ring, you have to do some math! 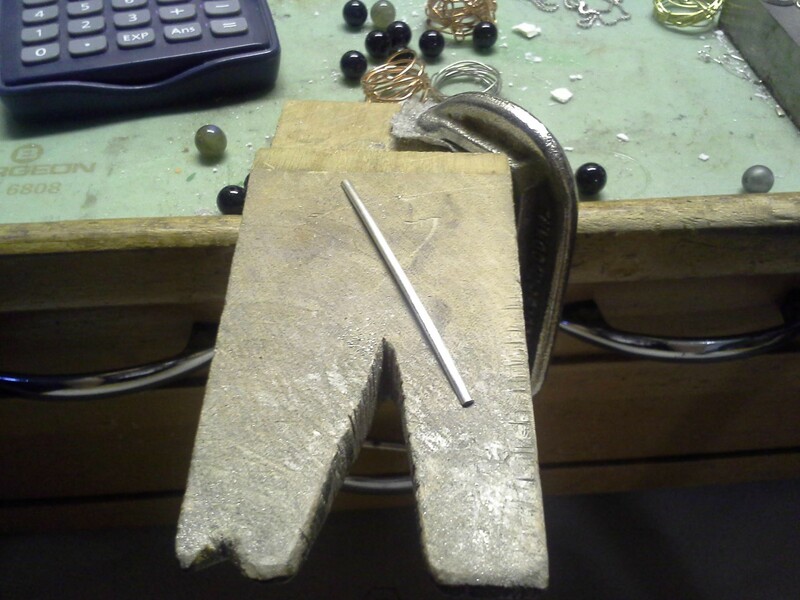 Now, I use a hand file and my mitered square to make sure both sides of this wire are a perfect 90 degrees. 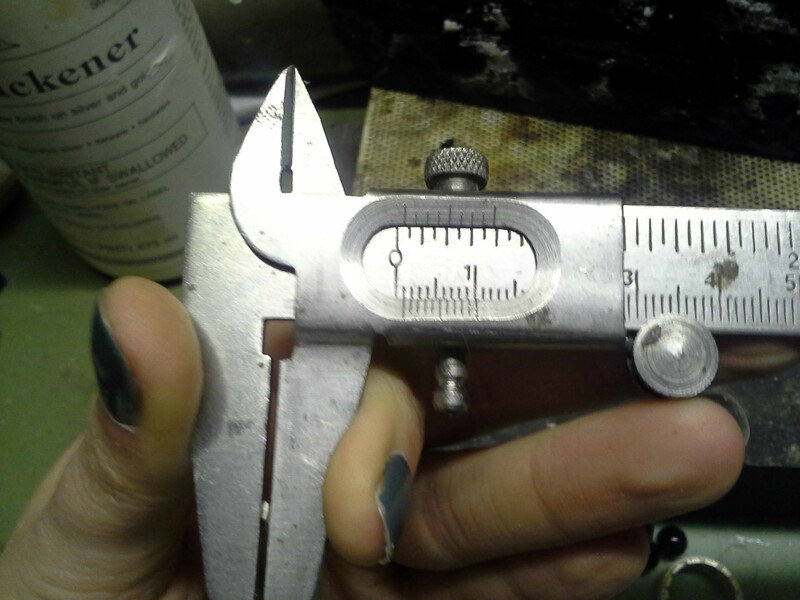 Soldering silver requires that you have a good contact surface. 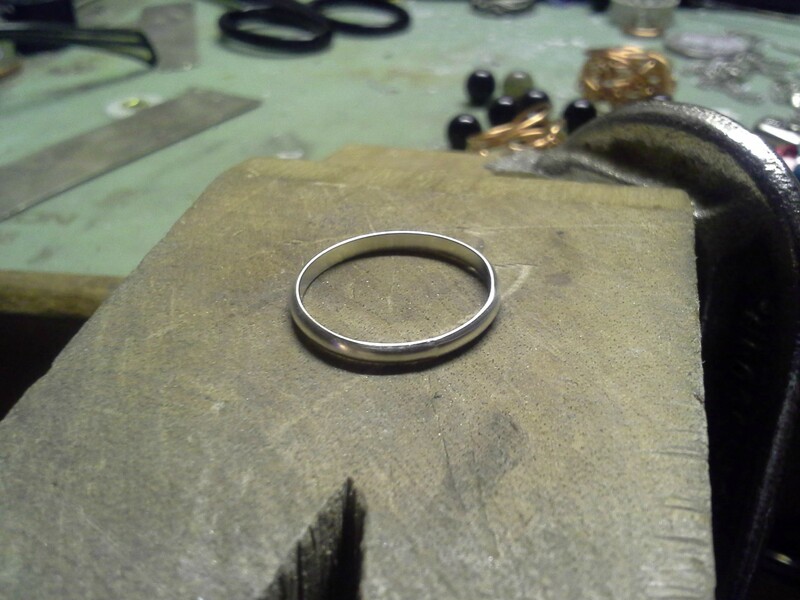 Once that's done, I bend my ring into shape. Soldering shape, that is. It looks like a D! I know it doesn't look like a ring at this point. This shape ensures that the solder joint has maximum contact for soldering. I'll bang it into shape once the solder joint is done. Once the soldering is done, you can bash it into shape. Each of these coloured radial disks is a different grit. You go from the roughest grit to the smoothest. 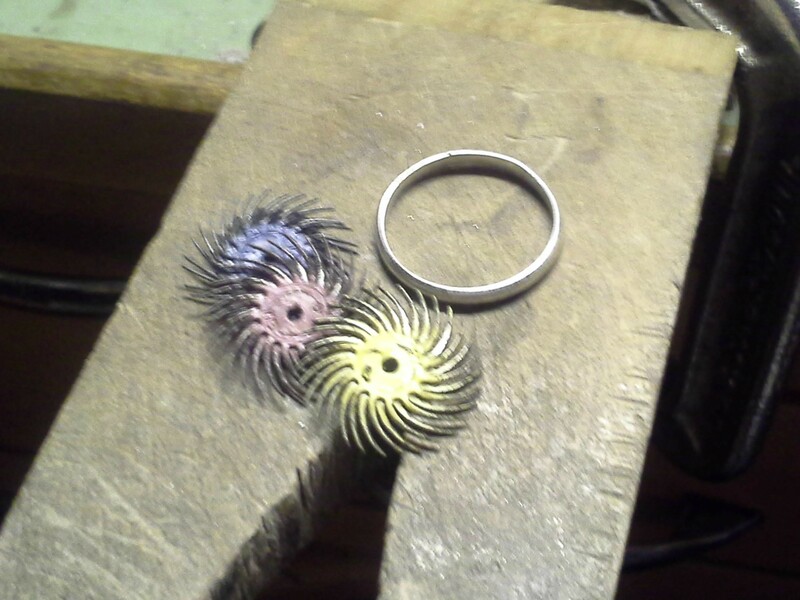 These radial disks give me a great finish, and I love using them. They are a bit expensive, but I find them worth every penny. Perfect huh? You can wear this ring as is, or you can add a stone or other decoration to it. I'll show you how to do that next time!